More detailed truck bed liner installation instruction below. 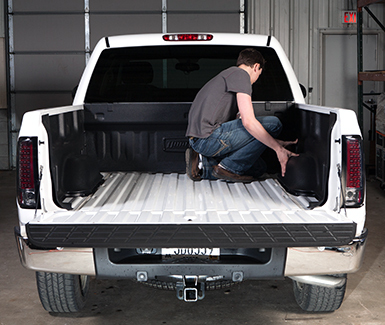 For most truck models, the DualLiner loadguard component simply snaps into place. 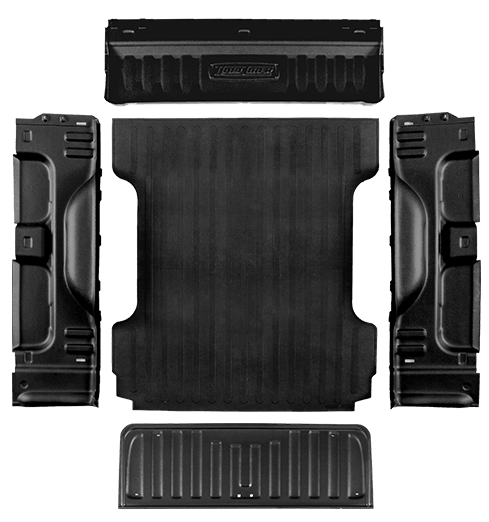 Since all DualLiner bedliner components are custom fit to each vehicle, the loadguard may be a bit snug. If you are having problems getting the loadguard around your truck’s factory tiedowns, simply install one side, place your hand behind the loadguard, gently bend it to give you some extra room and slide the other side into position. On trucks with welded-in tie downs, all you need to do is snap the sidewalls into place. If your truck has bolt-in tie downs, remove them first, snap the sidewalls into place and then re-install the tie downs. Be sure you have the sidewalls aligned properly prior to tightening the bolts. 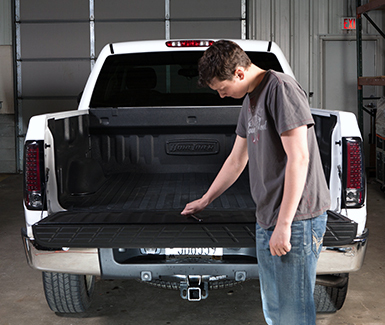 The skid-free rubber bed mat that comes with your DualLiner bed liner is easy to install. Simply lock it into the channels at the bottom of the sidewalls. The cleated bottom of the rubber mat promotes airflow and helps to prevent water from building up under the mat to deter corrosion. 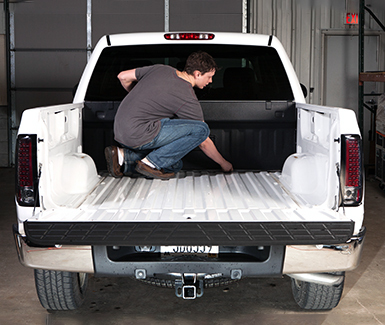 On most truck models, simply remove the tailgate bolts that line up with the holes in the DualLiner tailgate protector. There could be anywhere from 4 to 12 bolts, depending on your model of vehicle. Be sure not to over torque the bolts, as the sheet metal is easily stripped. Some models also ship with double-sided tape or optional drill-in pine tree fasteners for trucks with few factory bolts. Easy, huh? 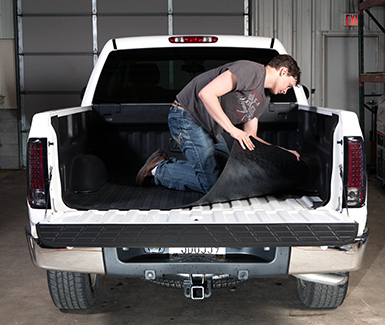 If you have any questions with your truck bed liner installation, please contact us and we’ll be happy to assist you. Be sure to send us some pictures of your newly installed DualLiner bedliner and we will send you a free gift. Just researching and haven’t made a purchase yet? Head over to the DualLiner product page to find the right model for your truck. Model specific truck bed liner installation videos are below. Model specific installation instructions are below. Watch Ryan and Evan show you how easy the bed liner installation was on their dad’s Ford F-150 bedliner.